PAIRINGS ISAAC is ideal as an aperitif, is perfect with fresh dishes and light vegetable appetizers, and goes well with fish too. PAIRINGS WAYAN elegance gives a unique touch to shellfish and fish dishes, as well as white meat or fresh cheeses. PAIRINGS NORA scents and sweetly balanced taste are ideal to accompany spicy ethnic dishes, cured meats and cheeses, artichokes and asparagus. 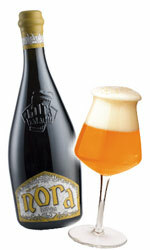 Super takes inspiration from Abbey beers and interprets them with its own style. 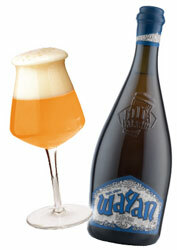 It has a gleaming amber color and smells of tropical fruit, banana and marzipan. 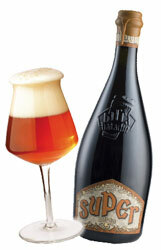 Super is harmony turned into beer and leaves an aftertaste of dried fruit and almonds. Easy to drink and well balanced, it is the ideal accompaniment to food and is perfect to sip in the company of friends. PAIRINGS SUPER is recommended with braised meat and excellent with mature cheeses.